Made my public art debut last week! 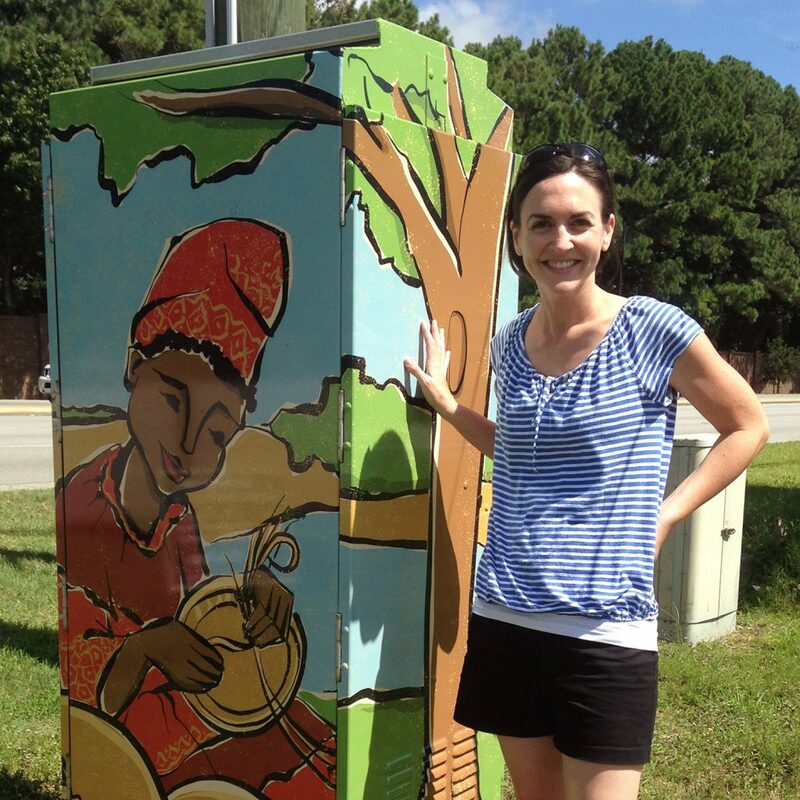 I was delighted to participate in a movement to beautify the traffic signal boxes along Highway 17. Commissioned by the Town of Mt Pleasant, I created an illustration portraying the theme of sweetgrass basket-making. It was a fun challenge, since the image needed to wraparound the design of the 6ft electrical box. Totally worth the extra planning and measuring! 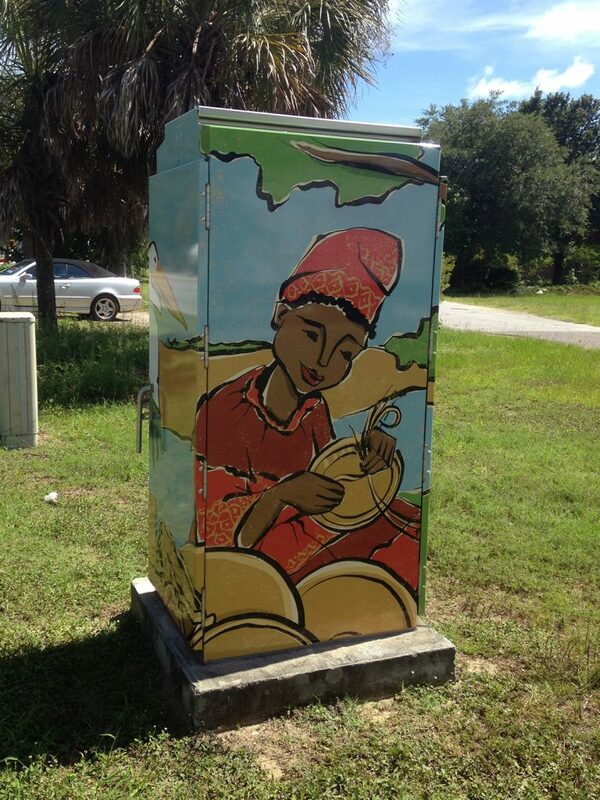 I drove by the typically non-descript corner a few days ago and smiled at the beautified electrical box.